We’ve got a grunter! 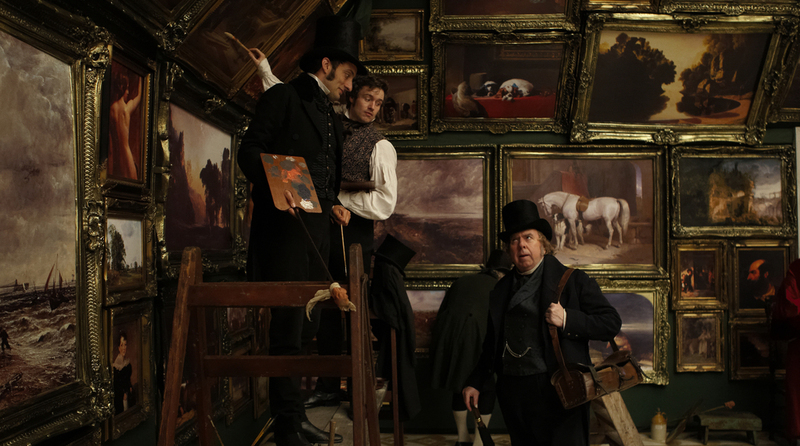 You will either laugh or cringe at Timothy Spall’s portrayal of British painter, J.M.W. Turner. Though he’s our protagonist, he is a rather disgusting man on the outer. He grunts endlessly, occasionally even throwing in the odd snort while he bangs someone against a bookcase. At that point I threw up in my mouth a little. It’s unusual to have such an unconventional looking male lead (though probably more likely than having a female one). He does manage to get the audience onside as his grunts become somewhat of an affectation, but this is balanced with a good dose of disgust. Peter Pettigrew ain’t that charming. 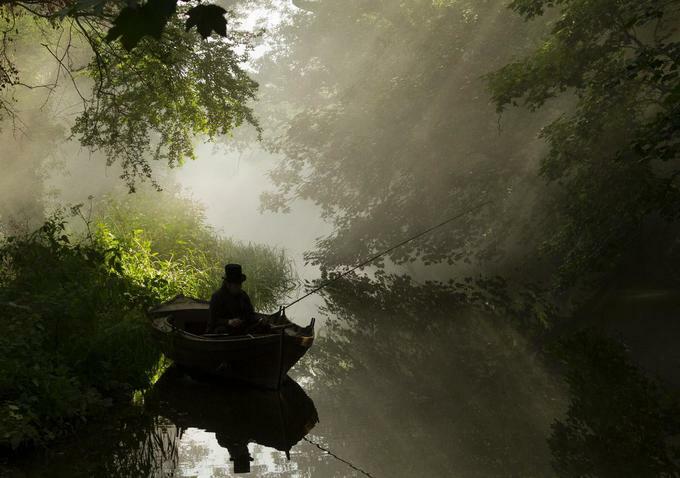 Set in the early-mid 1800s, Mr Turner showcases the later life of eccentric artist William Turner, famous for his landscape paintings in the Romantic period. As someone who knows next to nothing about art, I thought they looked pretty good, and that’s about the extent of my critique. I’m not a huge fan of period films but due to my desperate need to see anything with Oscar buzz I settled in for two and a half hours of potential boredom. Thankfully, it wasn’t terrible, and it didn’t feel too long, but as is the case with many bios, I was relieved when Turner’s life finally ended. The guy next to me kept falling asleep so the film may have that effect on some people. These sorts of costume dramas can have the tendency to dwell too long on pretentious conversations where the characters laugh too much at how witty they are while audience members like me feel like stabbing their eyes out. To my relief, there wasn’t too much of this and writer/director Mike Leigh even poked fun at such characters. There’s something hilarious about a pretentious wanker with a speech impediment, and Joshua McGuire was arguably the highlight of the film in his small role as John Ruskin. Almost all of the characters had a comic touch, which made this a watchable film. Mike Leigh likes to frame his characters from a distance, which can be irritating when minor characters’ faces remain a mystery. It was more bearable than usual, though perhaps that’s my getting used to it over the years. There were some glimpses of the beauty of the natural world which provided some insight into Turner’s inspiration without overdoing it. For a costume drama, I didn’t notice the costumes all that much, but those with an eye for period fashion are likely to appreciate them more. There are impressive performances all round, but especially from Spall who shows us the many layers of William Turner, while still maintaining an air of mystery. There are notable supporting performances by Dorothy Atkinson as Turner’s housekeeper, Hannah Danby, and Marion Bailey as his later lover, Sophia Booth. FOR THE LOVE OF GOD JUST SHOW US THEIR FACES! Though Mr. Turner doesn’t adhere to the usual formula of period dramas, it is clearly aimed at fans of such films, and should thoroughly please these audiences. However, you can be rest assured that if you are dragged along unwillingly, you might not hate it. But there’s a chance you’ll fall asleep. Leigh’s movies move at a simple, sometimes languid pace, and it works here. Not always, but it at least focuses on its character more and gives us a reason to care about him. Good review.